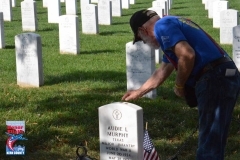 Who qualifies as a veteran for a Tour of Honor? Anyone who served in the US military in active duty or in a reserve capacity qualifies for a trip. US Military includes Army, Air Force, Navy, Marine Corps, Coast Guard, and Merchant Marines. I understand that it is free for veterans to go on the trip. Is it really free? Yes. 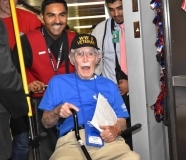 All veterans go as guests of Honor Flight. All travel (air and ground), food and lodging is paid for by us. You only have to pay for any souvenirs that you may want to purchase. You can also request an application to be mailed to you. Contact us at PO Box 1750, Paso Robles CA 93447 or call us at (805) 610-4012 or email flightinformation@honorflightccc.org. Should I apply even if I’m not sure that I’ll be able to go? Yes. We encourage you to apply as soon as possible. Applications are prioritized based on when you served in the US Military and the date that we receive the application. 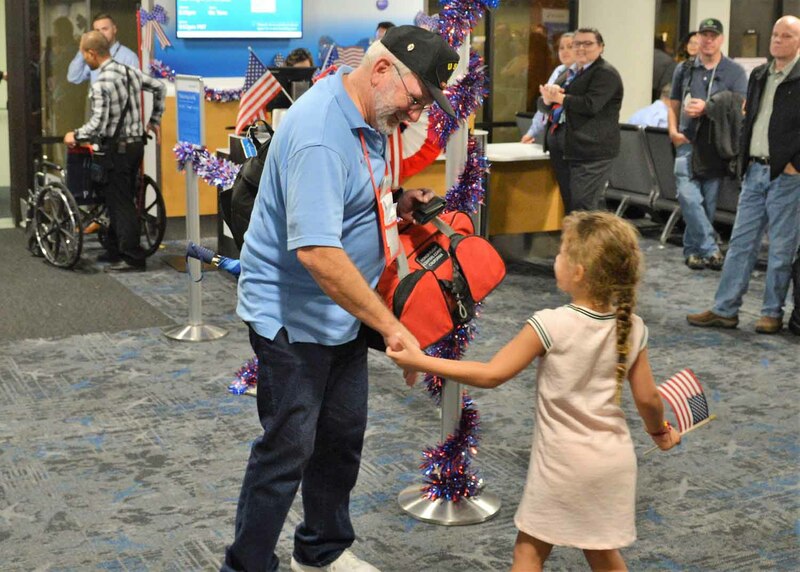 How are veterans chosen to go on a flight? Veterans are chosen based on when they served in the US Military. Currently first priority is given to WWII veterans, followed by Korea War veterans. Veterans within the same war era are prioritized by the date that the application is received. Veterans serving between war eras are also eligible. The next priority will be Vietnam veterans. 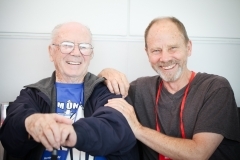 Veterans with a terminal illness get top priority. Will I get any confirmation after I apply? Yes. If you apply online you will get a confirmation page indicating that your application has been received. If you mails us your application you will be notified via email or phone that your application has been received. How will I be notified that it is my turn to go? We will contact you based on the contact information on your application. How many veterans go on a trip? 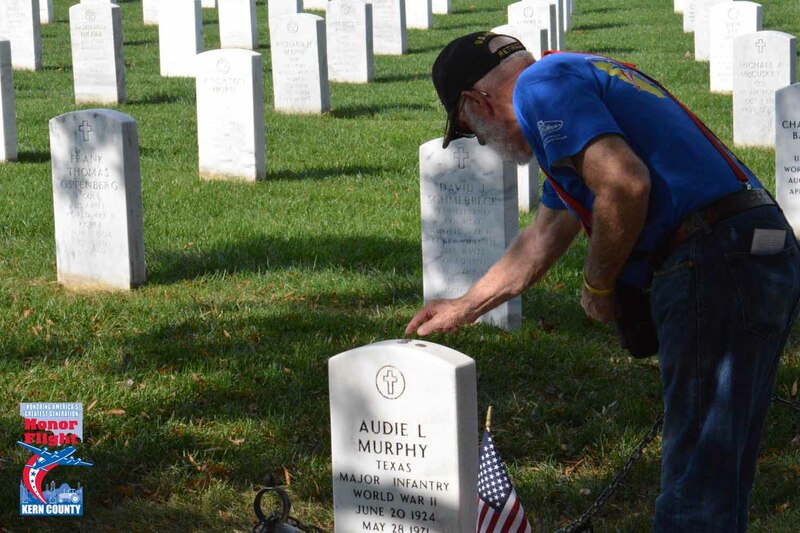 Currently we take approximately 22 veterans on each trip. How long will it be after I apply before I go on a trip? It depends on how many veterans have applied before you and the number of flights that we can schedule. We encourage you to apply as soon as possible since the date that we received your application, and when you served in the US Military are the criteria for selection. If at any time you want to know where you are on the list you can contact us. What if I am unable to go on that trip? You will keep your place on the list and we will contact you when our next trip is being planned. Will there be someone to help me on the trip? Yes, at this time each veteran is assigned a guardian who will be with you for the entire trip. If a family member would like to go as your guardian, we strongly encourage it. If no family member can be your guardian, we have volunteers who can do this at no cost to you. Spouses and companions are not eligible to be guardians. Can members of my family other than my spouse or companion come too? We have limited space so only if space allows. I may need some assistance, how does that work? The guardians are there to give you any assistance that you need on the trip. In general it is a three day trip. You are responsible for getting to the San Luis Obispo airport, usually for an early morning flight. We arrive in Washington DC area in the late afternoon. The next two days are spent visiting war memorials and other sites of interest via bus. At the end of the third day we fly home, usually arriving in the evening. Someone will need to pick you up at the airport after the return flight. If you are traveling from out of the county we will provide you with a complimentary hotel room the night before the trip and the night of your return flight. Will I have my own room or be sharing? If so, with whom? All rooms have double queen beds. You will most likely be staying with your guardian, unless your guardian is not a family member and is of the opposite gender. 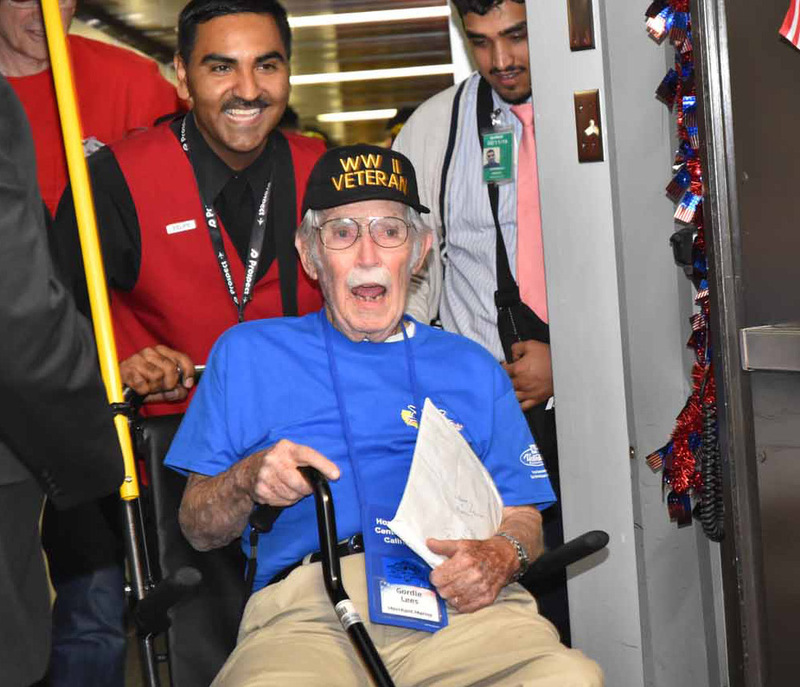 What costs are covered by Honor Flight and what do I need to pay for? All your costs are covered by Honor Flight. You only will need to pay for any souvenirs that you want to purchase. The Tour of Honor is designed to accommodate you; we make it as easy for you as possible. We have a wheelchair available for every veteran at all times. What if I have special dietary or room accommodation needs? Please let us know when you are scheduled for a flight so we can make the necessary accommodations. Please let us know when you are scheduled for a flight so we can make the necessary accommodations. Each trip will be accompanied by medical personnel. What if I need a walker, cane, wheelchair, or oxygen? What about getting through the TSA checkpoints? It is such a hassle now. We have made arrangements with the TSA at the San Luis Obispo airport and other connecting airports so we go through as efficiently as possible.